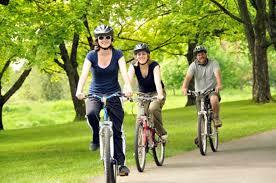 Bike riding is one of the best ways to be active outside! It's fun, it keeps you fit, and it can be something the whole family does together. Bike riding will get you in great shape to wear that dress you bought for an upcoming summer wedding or event where you want to be looking your best! If you're looking to shed some serious winter/holiday weight, running is for you! Use the gorgeous spring weather to get yourself motivated for summer beach parties and Fourth of July celebrations! This one is our favorites here at DME! Ever thought of a fitness scavenger hunt? We didnt either - genius, right? Write a list of workouts (push-ups, squats, etc. ), then map out your route. It could be a path you usually jog on, or someplace new. Next to each exercise, write down a landmark and once you reach each one, perform the exercise paired with that particular spot. This is such a great idea to keep your workouts fun, exciting, and a totally new way to stay fit! This will not only get your body in tip-top shape for all your summer parties and events - it will also be a great thing to share with any friends who are brides-to-be or even those who are just hosting events! This could also be a fun idea for brides to do with their bridesmaids to get fit for the wedding while bonding at the same time! Home vegetable gardens is becoming a huge hit! This is a fun outdoor activity that is beneficial for the entire family! 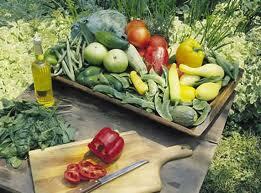 What better way to eat healthy than to grow your own veggies? This is such a fun idea that you can even incorporate into any dinner parties, clambakes, or Memorial Day celebrations that you may be hosting this summer! Forget shopping for all those veggies - grow your own! It's healthy, fun and a great conversation piece for you and your guests!